Price: 1 pc - 10 euros. 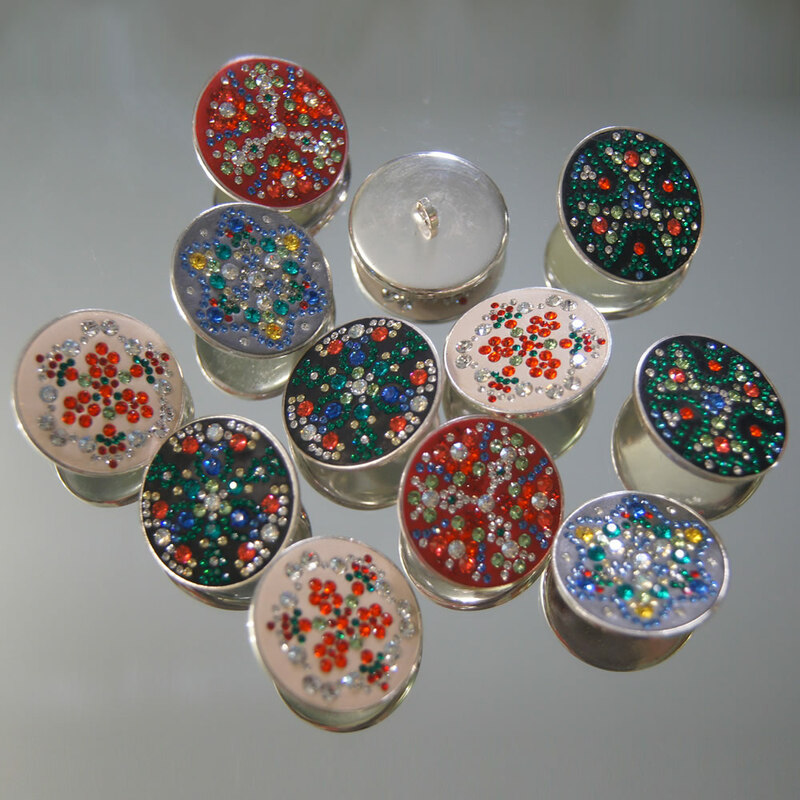 Dimensions: diameter 2.5 cm, height buttons 0.3 cm, ear 0.5 cm. Material: Costume jewelery metal, coated with silver. Ceralun. Cone crystals Swarovski.